Valley Children’s off ers a broad spectrum of non-invasive diagnostic services from pre-birth to young adult patients. 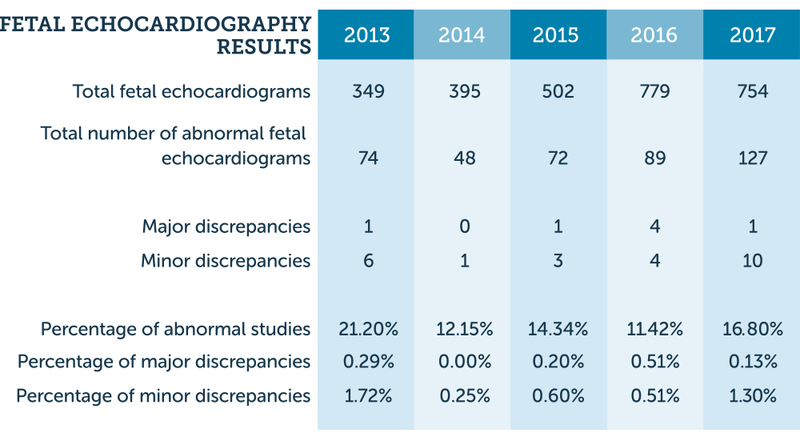 We currently perform almost 13,000 fetal, pediatric and adult echocardiograms annually. The Willson Heart Center team conducts diagnostic perinatal testing in collaboration with our Maternal Fetal Center. Together, we offer urgent and elective fetal echocardiograms in pregnancies as early as 16 weeks gestation to screen for fetal cardiovascular anomalies. Our cardiologists partner with 15 hospitals throughout our region to provide echo and electrocardiography interpretations for patients in their facilities.